Dr Ally, who has been a Board member since December 2015, brings a wealth of skills and a formidable network to the post. He takes over from Zenariah Barends, who has relinquished the post of chair after a decade, due to business commitments. Ms Barends plans to continue making a strong contribution to Inyathelo as a Board member and we are delighted to retain her services. Dr Ally has considerable experience in donor and alumni relations, fundraising and philanthropy. 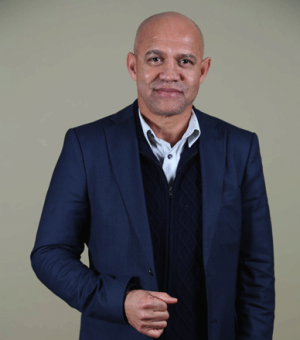 He is currently the Executive Director of the UCT Development and Alumni Department and was previously Ford Foundation’s Programme Officer for Southern Africa. Prior to this, Dr Ally was the Executive Director of the Charles Stewart Mott Foundation in South Africa and worked for the United Nations Office of the High Commissioner for Human Rights. He holds a Masters degree from Rhodes University and a Doctorate from Cambridge University, both in History. Welcome on board Dr Ally, from your fellow trustees, staff and committed Inyathelo supporters.